FSC works closely with it’s customers to plan, implement and deliver lighting & control integrations that meet their needs. Such was the case with one of the nation’s largest retailers. 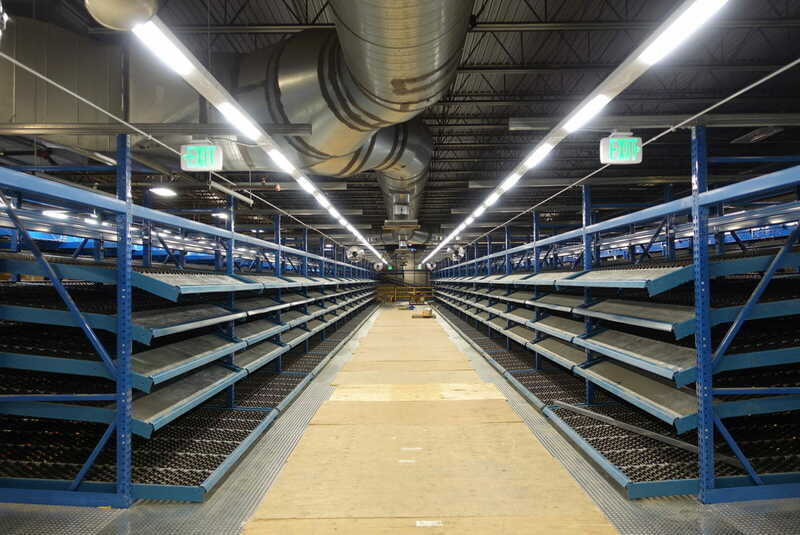 The customer wanted to illuminate pick modules at their new distribution center in Moreno Valley, CA and install a new game changing energy saving option that was not only affordable but smart. Together with the electrical engineering firm, FSC Lighting was able to fashion a control system capable of turning off the lights wirelessly as well as control their high velocity fans. FSC Lighting’s unique knowledge in lighting controls helped the retailer reduce their energy usage and also see huge savings on operation and maintenance costs. The unique lighting design was able to achieve uniform illumination with no dark or hot spots on either horizontal or vertical surfaces and a new best practice benchmark. By adopting the LED solution over the two lamp fluorescent option, the customer will use 32,587 fewer kilowatt hours (kWh) per year which represents an annual savings of approximately $3,910. As an added bonus, the property will be able to pick up additional savings with the integration of programmable sensors which eliminates lighting unnecessary areas because there is no redundancy in electricity .